Although effective in both wartime and peaceful situations, propaganda involves deception of the audience, for a purpose that benefits the propagandist rather than the society as a whole. As such, propaganda is a distortion of true communication among people who interact in a trusting manner. In late Latin, propaganda meant "things to be propagated," or "that which ought to be spread." Originally the term was not intended to refer to misleading information. In 1622, shortly after the start of the Thirty Years' War, Pope Gregory XV founded the Congregatio de Propaganda Fide ("Congregation for Propagating the Faith"), a committee of cardinals with the duty of overseeing the propagation of Christianity by missionaries sent to non-Catholic countries. Therefore, the term itself originates with this Roman Catholic Sacred Congregation for the Propagation of the Faith (sacra congregatio christiano nomini propagando or, briefly, propaganda fide), the department of the pontifical administration charged with the spread of Catholicism. The original meaning of the term "propaganda" was not negative, simply "that which ought to be spread"
In English, the word "propaganda" now carries strong negative connotations, although it has not always done so. Other languages, however, do not necessarily regard the term as derogatory. The modern English sense dates from World War I, when it evolved to the field of politics, and was not originally pejorative. It was formerly common for political organizations, as it had started to be for the advertising and public relations industry, to refer to their own material as propaganda. Propaganda has been a human activity as far back as reliable recorded evidence exists. The writings of Romans like Livy are considered masterpieces of pro-Roman statist propaganda. The Behistun inscription, made around 515 B.C.E. and detailing the rise of Darius I to the Persian throne, can also be seen as an early example of propaganda. Gabriel Tarde's Laws of Imitation (1890) and Gustave Le Bon's The Crowd: A Study of the Popular Mind (1897) were two of the first codifications of propaganda techniques, which influenced many later writers. Adolf Hitler's Mein Kampf was heavily influenced by Le Bon's theories. Journalist Walter Lippman, in Public Opinion (1922), also worked on the subject, as well as psychologist Edward L. Bernays, a nephew of Sigmund Freud, early in the twentieth century. 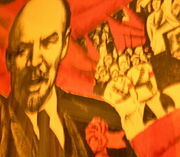 "Long Live World October Revolution!" Russian revolutionaries of the nineteenth and twentieth centuries distinguished two different aspects covered by the English term "propaganda." Their terminology included two terms: Russian: агитация (agitatsiya), or "agitation," and Russian: пропаганда, or "propaganda." Soviet "propaganda" meant dissemination of revolutionary ideas, teachings of Marxism, and theoretical and practical knowledge of Marxist economics, while "agitation" meant forming favorable public opinion and stirring up political unrest. These activities did not carry negative connotations and were encouraged. Expanding state propaganda, the Bolsheviks actively used transportation such as trains, aircraft, and other means. Josef Stalin's regime built the largest fixed-wing aircraft of the 1930s, Tupolev ANT-20, exclusively for this purpose. Named after the famous Soviet writer Maxim Gorky who had recently returned from fascist Italy, it was equipped with a powerful radio set called "voice from the sky," printing and leaflet-dropping machinery, radio stations, a photographic laboratory, a film projector with sound for showing movies in flight, a library, and so forth. The aircraft could be disassembled and transported by railroad if needed. 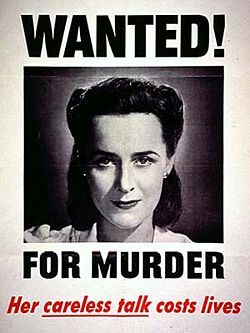 In the twentieth and twenty-first centuries, the American government adopted many techniques of propaganda for use in various campaigns, such as [[McCarthy's anti-communist purges and in wars such as World War II and the war in Iraq. Soviet Propaganda Poster during the Great Patriotic War. The text reads "Red Army Soldier - SAVE US!" The aim of propaganda is to influence people's opinions or behaviors actively, rather than merely to communicate the facts about something. Propaganda might be used to garner either support or disapproval of a certain position, rather than to simply present the position; or to try to convince people to buy something, rather than to simply let them know there is a particular item on the market. What separates propaganda from "normal" communication is the ways by which the message attempts to shape opinion or behavior, which are often subtle and insidious. For example, propaganda is often presented in a way that attempts to deliberately evoke a strong emotion, especially by suggesting illogical (or non-intuitive) relationships between concepts or objects (for instance between a “good” car and a pretty woman). The method of propaganda is essential to the word's meaning as well. A message does not have to be untrue to qualify as propaganda. In fact, the message in modern propaganda is often not blatantly untrue. But even if the message conveys only "true" information, it will generally contain partisan bias and fail to present a complete and balanced consideration of the issue. Another common characteristic of propaganda is its quantity. For example, a propagandist may seek to influence opinion by attempting to have a message heard in as many places as possible, and as often as possible. The intention of this approach is to reinforce an idea through repetition and exclude or "drown out" any alternative ideas. The propagandist seeks to change the way people understand an issue or situation for the purpose of changing their actions and expectations in ways that are desirable to the interest group. Propaganda, in this sense, serves as a corollary to censorship in which the same purpose is achieved, not by filling people's minds with approved information, but by preventing people from being confronted with opposing points of view. What sets propaganda apart from other forms of advocacy is the willingness of the propagandist to change people's understanding through deception and confusion rather than persuasion and understanding. Propaganda can be classified according to the source and nature of the message. White propaganda generally comes from an openly identified source, and is characterized by gentler methods of persuasion, such as standard public relations techniques and one-sided presentation of an argument. Black propaganda is identified as being from one source, but is in fact from another. This is most commonly to disguise the true origins of the propaganda, be it from an enemy country or from an organization with a negative public image. Grey propaganda is propaganda without any identifiable source or author. These different types of propaganda can also be defined by the potential of true and correct information to compete with the propaganda. For example, opposition to white propaganda is often readily found and may slightly discredit the propaganda source. Opposition to grey propaganda, when revealed (often by an inside source), may create some level of public outcry. Opposition to black propaganda is often unavailable and may be dangerous to reveal, because public cognizance of black propaganda tactics and sources would undermine or backfire the very campaign the black propagandist supported. In the case of the United States, there is also an important legal distinction between advertising (a type of "overt propaganda") and what the Government Accountability Office (GAO), an arm of the United States Congress, refers to as covert propaganda. Journalistic theory generally holds that news items should be objective, giving the reader an accurate background and analysis of the subject at hand. On the other hand, advertisements evolved from the traditional commercial advertisements to include also a new type in the form of "paid" articles or broadcasts disguised as news. These generally present an issue in a very subjective and often misleading light, primarily meant to persuade rather than inform. Normally they use only subtle propaganda techniques and not the more obvious ones used in traditional commercial advertisements. If the reader believes that a paid advertisement is in fact a news item, the message the advertiser is trying to communicate will be more easily "believed" or "internalized." Such advertisements are considered obvious examples of "covert" propaganda because they take on the appearance of objective information rather than the appearance of propaganda, which is misleading. Federal law specifically mandates that any advertisement appearing in the format of a news item must state that the item is in fact a paid advertisement. Propaganda has been mostly used in two situations: wartime and public relations. Propaganda is a mighty weapon in times of war. In this case its aim is usually to dehumanize and create hatred toward a supposed enemy, either internal or external. The technique is to create a false image in the mind. This can be done by using special words, special avoidance of words, or by saying that the enemy is responsible for certain things he never did. Most propaganda wars require the home population to feel the enemy has inflicted an injustice, which may be fictitious or may be based on facts. The home population must also decide that the cause of their nation is just. During World War I, Lippman and Bernays were hired by then United States president, Woodrow Wilson, to participate in the “Creel Commission,” the mission of which was to sway popular opinion in favor of entering the war on the side of the United Kingdom. The Creel Commission provided themes for speeches by "four-minute men" at public functions, and also encouraged censorship of the American press. The commission was so unpopular that after the war, Congress closed it down without providing funding to organize and archive its papers. The war propaganda campaign of Lippman and Bernays produced within six months such an intense anti-German hysteria as to permanently impress American business (and Adolf Hitler, among others) with the potential of large-scale propaganda to control public opinion. The public relations industry is a direct outgrowth of Lippman's and Bernays' work and is still used extensively by the United States government. For the first half of the twentieth century, Bernays and Lippman ran a very successful public relations firm. World War II saw continued use of propaganda as a weapon of war, by Adolf Hitler's propagandist Joseph Goebbels and the British political warfare executive, as well as the United States Office of War Information. The United States and the Soviet Union both used propaganda extensively during the Cold War. Both sides used film, television, and radio programming to influence their own citizens, each other, and Third World nations. The United States Information Agency operated the "Voice of America" as an official government station. Radio Free Europe and Radio Liberty, which were in part supported by the Central Intelligence Agency, provided "grey" propaganda in news and entertainment programs to Eastern Europe and the Soviet Union respectively. The Soviet Union's official government station, Radio Moscow, broadcast "white" propaganda, while Radio Peace and Freedom broadcast "grey" propaganda. Both sides also broadcast "black" propaganda programs in periods of special crisis. The dispute between the Soviet Union and People's Republic of China resulted in a number of cross-border operations. One technique developed during this period was the "backwards transmission," in which the radio program was recorded and played backwards over the air. This was done so that messages meant to be received by the other government could be heard, while the average listener could not understand the content of the program. In the Americas, Cuba served as a major source and a target of propaganda from both black and white stations operated by the CIA and Cuban exile groups. Radio Havana Cuba, in turn, broadcast original programming, relayed Radio Moscow, and broadcast The Voice of Vietnam as well as alleged confessions from the crew of the USS Pueblo. In the 2001 invasion of Afghanistan, psychological warfare tactics were employed to demoralize the Taliban and to win the sympathies of the Afghan population. Aircraft were used to jam local radio transmissions and transmit replacement propaganda messages. Leaflets were also dropped throughout Afghanistan, offering rewards for Osama bin Laden and other individuals, portraying Americans as friends of Afghanistan, and emphasizing various negative aspects of the Taliban. During the 2003 invasion of Iraq, the Iraqi Information Minister Mohammed Saeed al-Sahaf repeatedly claimed Iraqi forces were decisively winning every battle. Even up to the overthrow of the Iraqi government at Baghdad, he maintained that the United States would soon be defeated, in contradiction with all other media. The Iraqis, misled by his propaganda, were shocked when instead Iraq was defeated. 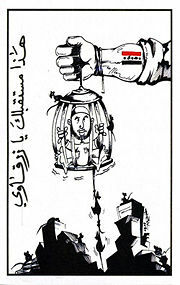 In November 2005, various media outlets, including The Chicago Tribune and the Los Angeles Times, alleged that the United States military had manipulated news reported in Iraqi media in an effort to cast a favorable light on its actions while demoralizing the insurgency. The New York Times published an article about how the Pentagon used contractors with little experience in journalism or public relations to plant articles in the Iraqi press. These articles were usually written by U.S. soldiers without attribution or attributed to a non-existent organization called the "International Information Center." Planting propaganda stories in newspapers was done by both the Allies and Central Powers in the First World War and the Axis and Allies in the Second; this is the latest version of this technique. The Nazis believed in propaganda as a vital tool in achieving their goals. Adolf Hitler, Germany's Führer, was impressed by the power of Allied propaganda during World War I and believed that it had been a primary cause of the collapse of morale and revolts in the German home front and Navy in 1918. 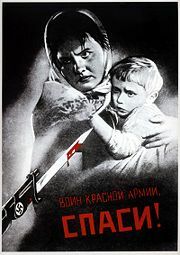 Along with posters, the Nazis produced a number of films and books to spread their beliefs. Most propaganda in Germany was produced by the Ministry for Public Enlightenment and Propaganda (Propagandaministerium, or "Promi" (German abbreviation)). Joseph Goebbels was placed in charge of this ministry shortly after Hitler took power in 1933. All journalists, writers, and artists were required to register with one of the Ministry's subordinate chambers for the press, fine arts, music, theater, film, literature, or radio. Hitler met frequently with Goebbels to discuss the news and Goebbels; Goebbels would then meet with senior Ministry officials and pass down the official Party line on world events. Broadcasters and journalists required prior approval before their works were disseminated. Soviet propaganda appeared in Soviet Union education. Propaganda went so far in school that it sometimes even interfered with learning. When one learned history, one would never learn any history except for Russia's, but even that was not at all valid. There were often lies spread about how life in America and other Western countries was, and how rich the U.S.S.R. was compared to them. Also, the Soviets used classic novels, such as the American favorite Uncle Tom's Cabin to spread communist propaganda. The overall motif and message was twisted to an anti-American message and was fed to the schools. One of the most insightful authors on this topic was George Orwell, whose novels Animal Farm and Nineteen Eighty-Four are virtual textbooks on the use of propaganda. Though not set in the Soviet Union, these books are about totalitarian regimes in which language is constantly corrupted for political purposes. 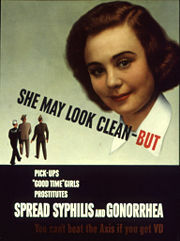 Propaganda has much in common with public information campaigns by governments, which are intended to encourage or discourage certain forms of behavior (such as wearing seat belts, not smoking, not littering and so forth). Propaganda can take the form of leaflets, posters, television and radio broadcasts, and can also extend to any other medium. Beyond war, propaganda is useful for molding public opinion on other issues. The National Association for the Repeal of Abortion Laws (NARAL) accuses pro-life groups of propaganda for their creation of supposed abortion clinics, which in fact only exist to dissuade women from abortions. Pro-Life groups blame Pro-Choice propaganda for the opposition faced by anti-abortion laws such as those in South Dakota. Critics claim propaganda is deceptively altering opinion on a number of issues including the environment and gay rights. In the early twenty-first century, the United States government developed and freely distributed a video game known as America's Army. The stated intention of the game is to encourage players to become interested in joining the U.S. Army. At the United States Military Academy, 19 percent of the 2003 freshman class stated they had played the game. Enlistment quotas were met in the two years directly following the game's release. More in line with the religious roots of the term, propaganda is also used widely in the debates about new religious movements (NRMs), both by people who defend them and by people who oppose them. The latter pejoratively call these NRMs cults. Anti-cult activists accuse the leaders of what they consider cults of using propaganda extensively to recruit followers and keep them. Some social scientists have accused ex-members of "cults" who became vocal critics and the anti-cult movement of using propaganda themselves to make these novel religious movements look bad without sufficient reasons. United States Army 312th PSYOP Company passes out leaflets and broadcasts messages in Al Kut, Iraq on May 2, 2003. Common media for transmitting propaganda messages include news reports, government reports, historical revision, books, leaflets, movies, radio, television, and posters. In the case of radio and television, propaganda can exist on news, current-affairs, or talk-show segments, as "advertising" or "public-service announce spots," or as long-running "advertorials." The magazine Tricontinental, issued by the Cuban OSPAAAL organization, folds propaganda posters and places one in each copy, allowing a very broad distribution of pro-Fidel Castro propaganda. A propaganda campaign follows a strategic transmission pattern. This may begin with a simple transmission such as a leaflet dropped from a plane or an advertisement. Generally these messages contain directions on how to obtain more information, via a web site, hotline, radio program, and so forth. The strategy intends to initiate the individual from information recipient to information seeker through reinforcement, and then from information seeker to opinion leader. Appeal to authority: Appeals to authority cite prominent figures in support of a position idea, argument, or course of action. Appeal to Prejudice: Using loaded or emotive terms to attach value or moral goodness to believing the proposition. "A reasonable person would agree that our income tax is too low." Bandwagon effect: Bandwagon appeals attempt to persuade the target audience to take the course of action that "everyone else is taking." Black-and-white fallacy: Presenting only two choices, with the product or idea being propagated as the better choice (for example, you can have an unhealthy, unreliable engine, or you can use Brand X oil). Demonizing the “enemy”: Projecting a person or idea as the "enemy" through suggestion or false accusations. Euphoria: The use of an event that generates euphoria or happiness in lieu of spreading more sadness, or using a good event to try to cover up another, or creating a celebratory event in the hopes of boosting morale. Flag-waving: An attempt to justify an action on the grounds that doing so will make one more patriotic, or in some way benefit a group, country, or idea. The feeling of patriotism which this technique attempts to inspire may diminish or entirely omit one's capability for rational examination of the matter in question. Glittering generality: Glittering generalities are emotionally appealing words applied to a product or idea, but which present no concrete argument or analysis. A famous example is the campaign slogan "Ford has a better idea!" Obtain disapproval: This technique is used to persuade a target audience to disapprove of an action or idea by suggesting that the idea is popular with groups hated, feared, or held in contempt by the target audience. Thus if a group which supports a certain policy is led to believe that undesirable, subversive, or contemptible people support the same policy, then the members of the group may decide to change their original position. Quotes out of Context: Selective editing of quotes which can change meanings. Political "documentaries" often make use of this technique. Red herring: Presenting data that is irrelevant, and then claiming that it validates your argument. Slogans: A slogan is a brief, striking phrase that may include labeling and stereotyping. Although slogans may be enlisted to support reasoned ideas, in practice they tend to act only as emotional appeals. For example, "blood for oil" or "cut and run" are slogans used by those who view a situation. Similarly, the names of the military campaigns, such as "enduring freedom" or "just cause," may also be regarded to be slogans. Stereotyping or Name Calling or Labeling: This technique attempts to arouse prejudices in an audience by labeling the object of the propaganda campaign as something the target audience fears, hates, loathes, or finds undesirable. For instance, reporting on a foreign country or social group may focus on the stereotypical traits that the reader expects, even though they are far from being representative of the whole country or group. Testimonial: Testimonials are quotations, in or out of context, cited to support or reject a given policy, action, program, or personality. The reputation or the role (expert or respected public figure) of the individual giving the statement is exploited. The testimonial places the official sanction of a respected person or authority on a propaganda message, in an effort to cause the target audience to identify itself with the authority or to accept the authority's opinions and beliefs as its own. ↑ “Nothing like the truth,” San Francisco Chronicle (December 15, 2004). Retrieved September 10, 2007. ↑ “NARAL Pro-Choice America Endorses 'Stop Deceptive Advertising in Women's Services Act,'” NARAL Pro-Choice America Press Release (March 30, 2006). Retrieved September 10, 2007. ↑ Associated Press, Pro-Abortion Propaganda Swings Vote Against South Dakota's Pro Life Efforts,” KX TV (Bismarck, N.D.). Retrieved September 10, 2007. ↑ Craig S. Marxsen, “The Environmental Propaganda Agency,” The Independent Institute. Retrieved September 10, 2007. ↑ “The homosexual agenda - anti-gay rights propaganda in political campaigns,” Commonweal (Oct. 6, 2000). Available online from FindArticles.com. Retrieved September 10, 2007. ↑ Eric Gwinn, "Army targets youth with video game," Chicago Tribune (November 7, 2003). Retrieved September 10, 2007. ↑ Douglas Cowan, "Cult Group Controversies: Conceptualizing 'Cult' and 'Sect,'" The Religious Movements Homepage Project @ The University of Virginia. Retrieved September 10, 2007. ↑ Agnieszka Koscianska, "Polish anti-cult movements and their vision of cults and sects." Retrieved September 10, 2007. ↑ TRIcontinental Retrieved December 6, 2006. Appendix I: PSYOP Techniques. Psychological Operations Field Manual No. 33-1, Aug. 31, 1979. Washington, DC: Headquarters, Department of the Army. (Partial contents online.) Retrieved September 10, 2007. Huxley, Aldous. Brave New World Revisited. New York: Harper, 1958. Hindery, Roderick. "The Anatomy of Propaganda within Religious Terrorism." Humanist, (2003): 16-19. Le Bon, Gustave. The Crowd: A Study of the Popular Mind. 1897. Rouse, Ed. The PsyWarrior. Retrieved September 10, 2007. Young, Emma. “Psychological warfare waged in Afghanistan.” New Scientist (October 10, 2001). Retrieved September 10, 2007. Sourcewatch.org. Retrieved September 10, 2007. Brown, John H. "Two Ways of Looking at Propaganda," USC Center on Public Diplomacy, 2006. Retrieved September 10, 2007. Cole, Robert. Encyclopedia of Propaganda (3 vol.). 1998. Kosar, Kevin R. “Public Relations and Propaganda: Restrictions on Executive Branch Activities.” Retrieved September 10, 2007. M. E., McCombs and D. L. Shaw. "The agenda-setting function of mass media." Public Opinion Quarterly 36 (1972): 176-187. This page was last modified on 1 March 2014, at 17:16.